Available NOW, Ask YOUR favorite bookstore to stock it! Or get it on Amazon. Also avialable at Barnes & Noble and other fine bookstores everywhere. Erika was interviewed by Kacey Morabito-Graen at WHUD, 100.9, WHUD.com! The interview appears at about 1/3 of the way through the show. Two Book Events are coming up in November and December. "In this elegiac and brutally honest debut work, a young artist, Rain Morton, attempts to make her mark in Manhattan's art world despite both the advantages and the weight of influence around her: her art critic husband, her art dealer step-mother and her father, a renowned author. But just as Rain begins to make her own professional ascent, a string of setbacks and betrayals send her down a path of self-discovery--both personal and as a painter. On the way, she disentangles her intricate family history. At the fringes of Rain's tumult is the mysterious Colorman, James Morrow of Highland Morrow paint manufactory, whose ancient and arcane paint-making techniques--and hermetic existence--help Rain elucidate her increasingly confused world. Morrow slowly becomes an imprtant ballast to her struggles." "As art and life blur together in a narrative as gripping as it is poignant, The Colorman emerges as a deeply moving and evocative exploration of love and loss, creativity and identity. Erika Wood has written a striking novel." "The Colorman is a sumptuous ode to color, woven through an ardent art scene romp." 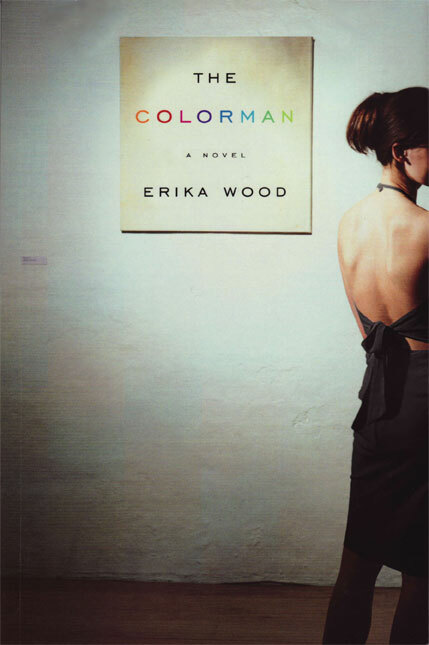 "The Colorman plunges you into a world of deep colors, rich emotions, and profound insights. Like the paints created by the title charactr, Erika Wood's debut novel is a distinctive work of alchemy--a product at once mysteriouis and transformative." Encaustic wax, felt, pencil and photographs.